AKRON, Ohio (AP) Hideki Matsuyama shot 61 on the final day at Firestone last year to win the Bridgestone Invitational, his sixth victory worldwide in 20 starts. He was among the favorites to win the PGA Championship the following week and nearly pulled it off until Justin Thomas overtook him on the back nine. Matsuyama, once in the mix to reach No. 1 in the world, now is at No. 16. More troublesome is that he is No. 86 in the FedEx Cup standings with only three tournaments left before the start of the tour’s postseason. Russell Knox was overlooked as a captain’s pick for the Ryder Cup two years ago, and a late surge – runner-up at the French Open, a victory in the Irish Open – has given him a chance to make the European team and at least put him in the conversation as a pick. ”It’s not a goal of mine as much as it’s a reward,” he said after missing the cut at the British Open. ”My goal was to play good this week, to try and have my best major finish. Ryder Cup is a reward for good play. Of course, it’s on my goal list, but I’m not focusing on it. I’m focusing on each event and trying to finish off the season. 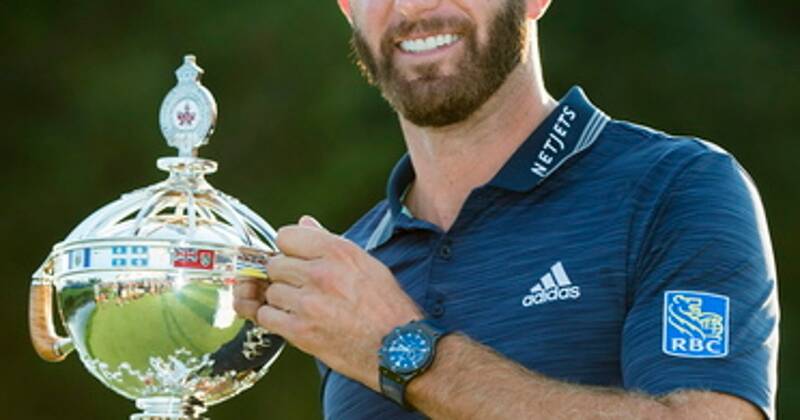 Knox is in the $10 million Bridgestone Invitational from his Irish Open victory, and the money counts toward European points as a World Golf Championship. So do earnings at next week’s PGA Championship, where the prize fund will be at least $10.5 million. Kokrak’s finish was worth $121,500, and it allowed him to go past Kirk by $17,430 to No. 71. That was important because the PGA Championship has set aside two spots from its 156-man field in case the winners of this week’s tournaments are already eligible. Odds are in Kokrak’s favor. Only three players at the Bridgestone Invitational are not exempt into the PGA. Odds are not in Kirk’s favor, because only nine players from the field at the Barracuda Championship are in the PGA next week at Bellerive Country Club in St. Louis. ”Both the USGA and the R&A are committed to the position that a player’s ability to read their line of play on the putting green is an essential skill that should be retained,” said Thomas Pagel, senior director of rules for the USGA. Jordan Spieth was using one because it was allowed, and it doesn’t hurt. But he said at the British Open that it might help him when the book is limited. ”I think that’s a skill that I have in green-reading that’s advantageous versus the field, and so it will be nice,” he said. The PGA Tour and NBC Sports Group have a new partnership that will make NBC Sports Gold the home of the PGA Tour’s over-the-top subscription video service. The deal starts in January, and pricing options will be available then. The partnership gives NBC Sports Gold rights to all of the PGA Tour Live’s weekday morning coverage from 28 events, starting with the CareerBuilder Challenge. Jordan Spieth and friends – a lot of them – headed to Spain after the British Open. He posted a photo on Instagram of a group of 13 guys in front of a plane, but this wasn’t a ”Spring Break” trip in the summer. It was his bachelor party. … NCAA champion Jennifer Kupcho of Wake Forest is an automatic selection for the Women’s World Amateur Team next month in Ireland. … Golden State Warriors star Steph Curry will return to play in the Ellie Mae Classic at TPC Stonebrae on the Web.com Tour for the second straight year. He missed the cut last year with rounds of 74-74. The tournament is next week, the same week as the PGA Championship. … Catriona Matthew of Scotland was awarded an honorary membership at Royal Lytham & St. Annes, where she won the Women’s British Open. … Miguel Angel Jimenez made it seven straight years that the PGA Tour Champions had a player who won multiple majors. ”That’s one thing I do love about this game. No matter how good you are, you can be better.” – Dustin Johnson.